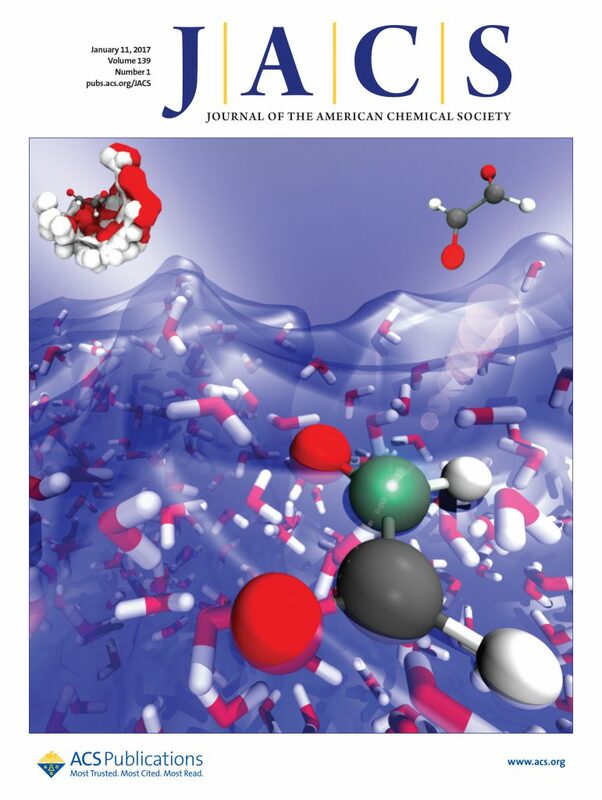 On the Cover: The trans-to-cis isomerization of glyoxal is catalyzed at the liquid water interface, suggesting a higher cis relative concentration at the interface, whereas trans is preferentially solvated in the bulk. This finding points toward a surprising and more general property of interfacial environments being able to select specific stereo molecular structures. Chongqin Zhu, Sabre Kais, Xiao Cheng Zeng, Joseph S. Francisco and Ivan Gladich. January 2017. Interfaces select specific stereochemical conformations: The isomerization of glyoxal at the liquid water interface. Journal of the American Chemical Society 139(1), pp. 27-30. Chongqin Zhu is a postdoctoral research associate in the Department of Chemistry. Xiao Cheng Zeng is Chancellor’s University and Willa Cather Professor in the Department of Chemistry, with courtesy appointments in the departments of Chemical and Biomolecular Engineering, Mechanical and Materials Engineering, and Physics. Joseph Francisco is dean of the College of Arts and Sciences and Elmer H. and Ruby M. Cordes Chair in Chemistry.